From the Photographer...Ken & Jay recently got married in Boston, MA, where the two of them live. 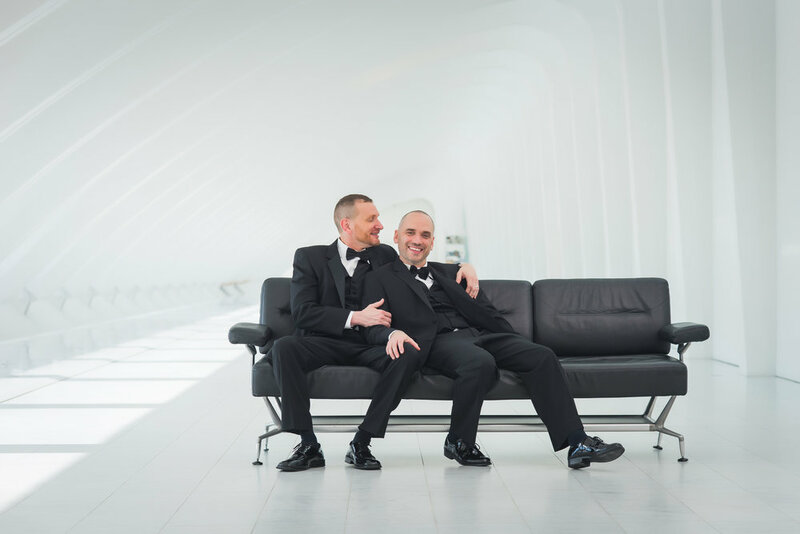 Having so much love for their family and friends, they decided to have two wedding receptions, one in each of their home states: Wisconsin and Rhode Island. 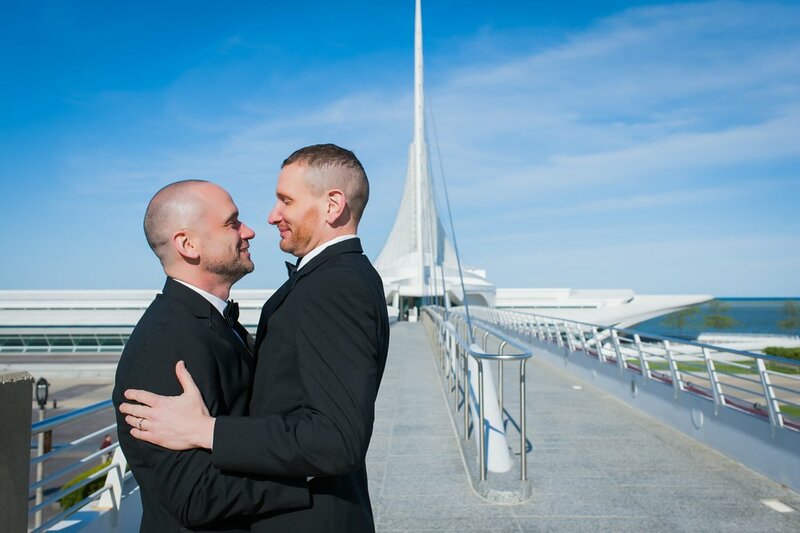 We were lucky enough to be the photographers for their celebration at the Milwaukee Art Museum, and the day couldn’t have gone any better! 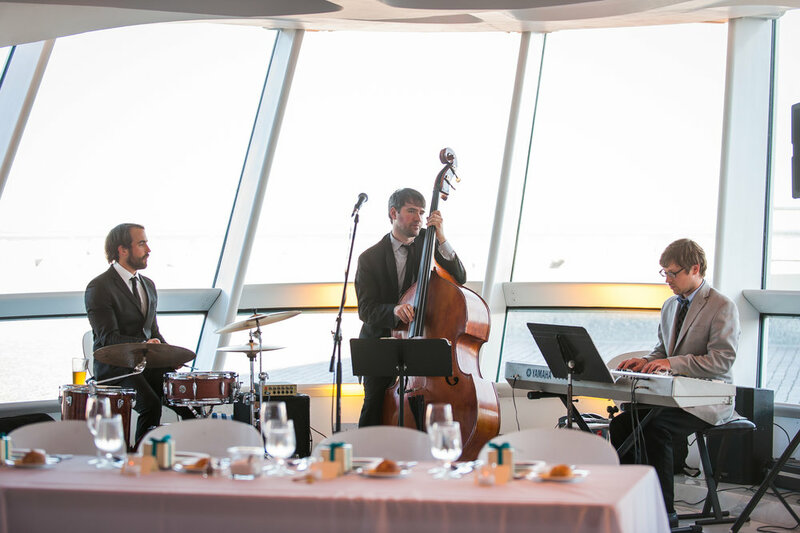 Everyone enjoyed taking in the views of the Milwaukee cityscape and lakefront before it was time for dinner. Afterward, some really thoughtful, touching speeches and toasts were made. 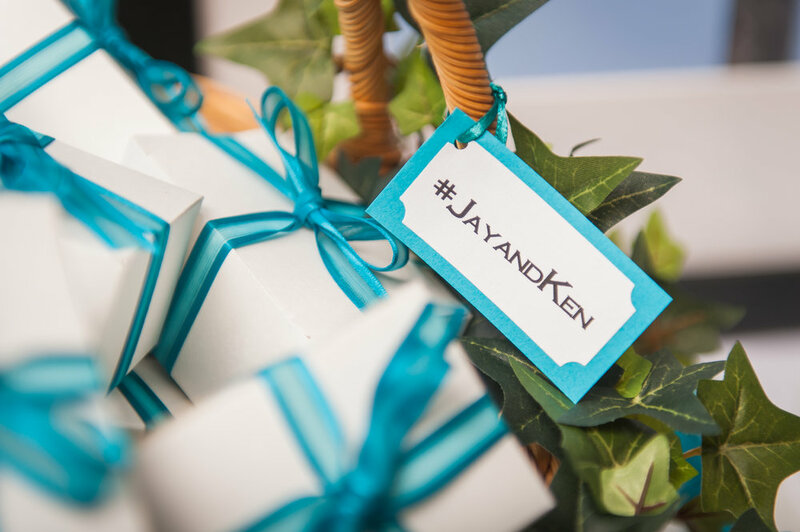 Then guests were treated to an absolutely amazing video montage that told Ken & Jay’s story, beautifully illustrated their relationship and concluded with their ceremony (cue tears of joy filling the room). Since the two of them love playing games, they presented a game of Jeopardy for everyone to partake! 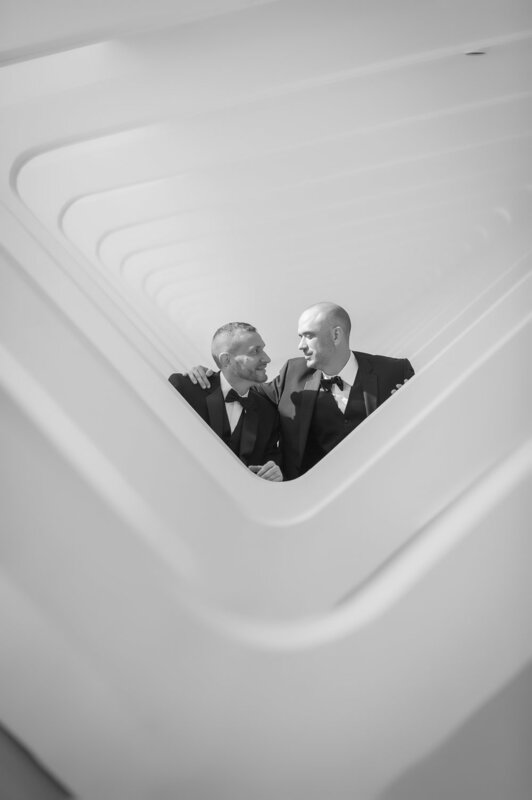 It was so clever, and we loved capturing their guests having so much fun! 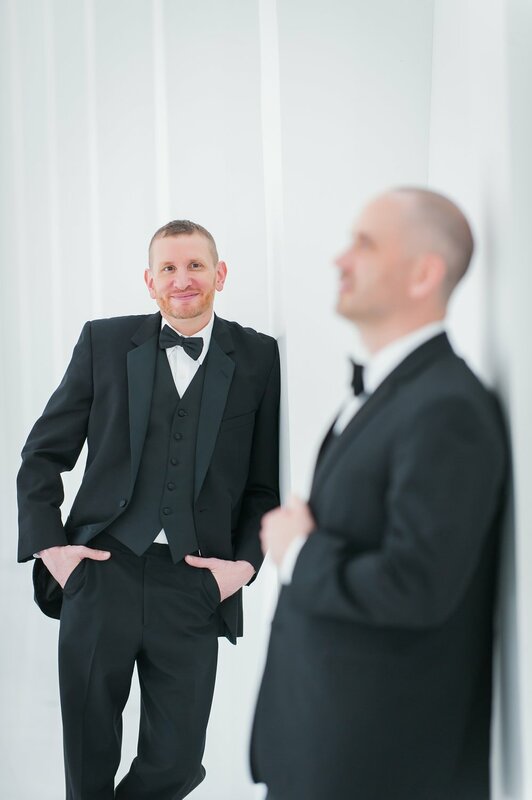 Afterward, Ken & Jay were welcomed to the dance floor for their First Dance as newlyweds. And throughout the evening, the talented band kept the dance floor packed! Everyone was having a blast watching the band, decorating themselves with glow-sticks and dancing the night away! What a party!